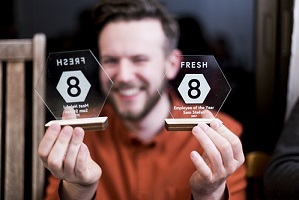 Fresh8 Gaming is totally unique and innovative technology business. Our product is designed to significantly improve advertising efficiency and returns for world’s leading gambling operators. 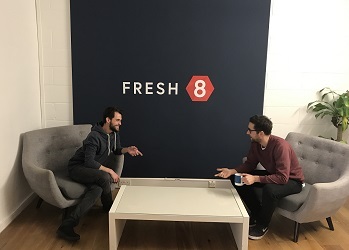 Fresh8 platform uses semantic technologies to make sense of online content just like humans do. This enables us to deliver fully automated and personalised campaigns that instantly connect sport fans with bets. Through the use of our advertising tools, we’re helping clients including William Hill, SkyBet, Ladbrokes Coral, 90min.com and The Telegraph to more efficiently acquire new customers whilst improving the retention of their existing users. Since 2014, we have landed a series of awards including Services Rising Star at EGR B2B Awards in 2016 and have recently secured a new injection of funding to continue our rapid growth. With over 40 strong staff across offices in Bristol and London we are united by the mission to revolutionise the future of AdTech for the betting and gaming industry! Our whole stack is built on open source and we contribute back wherever possible, check us out on Github. We're committed to providing our teams interesting challenges and work across all functions that will give you the ability to demonstrate your skills and continue to personally develop your craft. At interview we'll share our experiences with you and look forward to finding out how you can become a valued team member. We're still a growing team and it is important to us to maintain flexibility as we grow. We are progressive, stable and successful and could give you a great chance to become familiar with the sports betting industry, if you have not already done so. We love what we do, foster a great culture and are looking forward to growing stronger and pushing our business to new heights. We pay our team competitively and regularly review salaries to reflect the changing market and development of our colleagues. Fresh8 Gaming collects and processes personal data in accordance with the EU General Data Protection Regulation (GDPR). See the privacy notice for further details.